Losing weight can be difficult, because sedentary activities and fatty foods are etched into modern culture. Taking a car to sit at a movie theater, sitting and eating popcorn, and then sitting at a restaurant with an over-sized portion describes a typical night out for many. When people realize this kind of lifestyle has caused weight gain, it's easy to reach for "miracle solutions" like diet pills, impossible workout regiments, and even surgery. Lasting, healthy weight loss, however, comes from a shift in mentality and lifestyle. If you are not active throughout the day, you will not lose weight. Luckily, though, you don't need to spend two hours at the gym every day to see results. Around 30 - 40 minutes of cardio every day is more than enough get a positive routine started. Make exercise fun by going swimming, going for a bike ride, or even dancing around your house. If you want to tone your body and improve your mindset, try yoga. A regular yoga practice will strengthen your muscles, increase flexibility, and encourage relaxation. Contrary to the claims of many fad diets, eating healthfully is not getting a salty, low-fat microwavable dinner and drinking diet soda. It's actually much less about counting calories than you may think. Improving your diet involves going back to the basics. Colorful fruits and veggies, whole grains, and lean proteins are essential for healthy living, energy, and weight loss. Avoid added sugar and fatty foods, and try replacing high fat red meat with tofu or salmon. Weight loss is not only about what you eat, but how much. Restaurant portions are getting bigger and bigger. A good rule of thumb is to request a to-go container before you begin eating, and wrap up half of the meal before you start. This will take away the temptation to clear your plate, and you'll have a delicious, normal-sized portion leftover for later. Another way to control portions is to avoid eating food directly from the package. If you're snacking on healthy packaged foods, it's easy to eat far more than you realize if you just grab them out of the box or bag. Try to take out a reasonable portion, put it in a bowl, and put the rest of the package away. If you avoid all of your favorite foods completely, it can make you binge suddenly, eating the most delicious things you can imagine in excessive amounts. It is normal to have cravings, and it's healthy to give in to them occasionally. Reward yourself with healthy treats here and there. A bar of dark raw chocolate or a plate of baked sweet potato fries is something to look forward to while still offering nutritional benefits. Snack regularly on things like dried fruit, nuts, and whole grains to satisfy sweet and salty cravings. 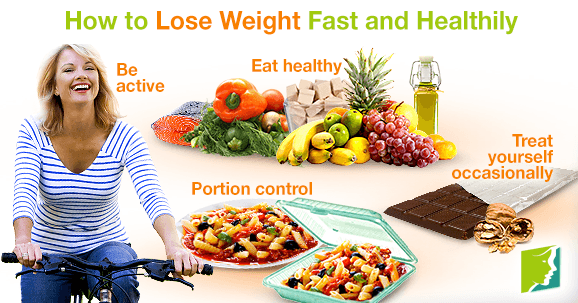 All of the above tips are effective, reliable strategies for weight loss and improved health. When you view losing weight as torturing yourself through mundane workouts and avoiding tasty food altogether, sticking to whatever plan you've made is impossible. There are plenty of healthy foods that are delicious and good for you, and as you begin to explore these and break away from bad habits, you will naturally lose weight and feel better. Follow the links below for further information about losing weight during menopause.